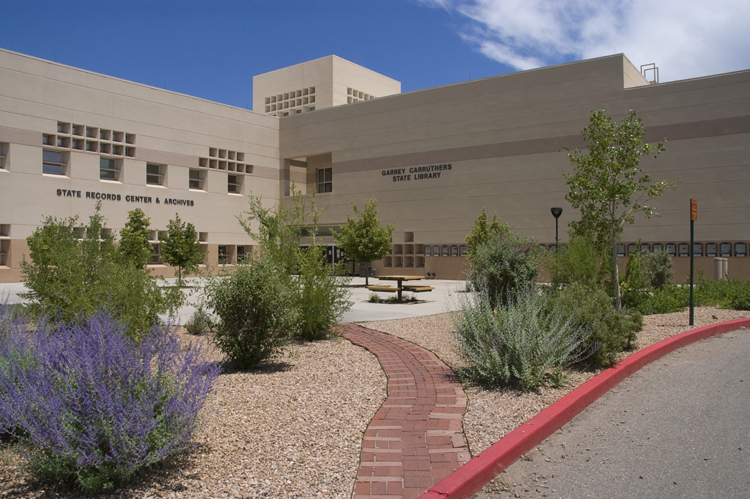 The New Mexico State Library, a Division in the Department of Cultural Affairs, seeks an enthusiastic advocate for libraries to fill the position of State Librarian. We seek a leader with experience and cap acity building skills for librarians throughout a state with rural, urban, and Tribal libraries. The New Mexico Department of Cultural Affairs (DCA) is one of the largest and most respected cultural affairs agencies in the nation. The DCA and the New Mexico State Library (NMSL) are in beautiful, historic Santa Fe – New Mexico’s heart of governmental, artistic, and cultural activities. The successful candidate will administer relevant and valued services to over 100 public and Tribal libraries in New Mexico and will generally promote an effective statewide library system. We seek an individual with knowledge of cultural sensitivities and best practices in working with Native American, Hispanic and rural populations. The State Librarian will advocate for and oversee the provision of services directly to New Mexico’s culturally diverse and special populations; and will foster positive and cooperative working relationships with other educational services and state and national library agencies. Understanding the roles of contemporary libraries in today’s societies, the State Librarian will move progressively toward a future with innovative programs and services while continuously evaluating and supporting those of value that currently exist. Partnerships: The State Librarian will have expansive partnering opportunities with other divisions within DCA including museum education programs and collections, preservation, arts, and archaeological programs. The State Librarian will foster positive and cooperative working relationships with educational institutions, the State Public Education Department, the Higher Education Department and state and national library agencies. The New Mexico State Library Commission advises the State Librarian on programs and services. The newly established New Mexico State Library Foundation raises funds and supports grants for the State Library. The State Librarian plays a leadership role in the New Mexico Library Association. The New Mexico State Library has a staff of 38 full time employees and an annual budget of $5.7 million. The State Librarian will be responsible for rural Bookmobile service, administering grants-in-aid, library extension, books for the blind and physically handicapped, the Southwest Collection, the Tribal Libraries Program, development and consulting services statewide, and the State Documents depository program. The State Librarian will perform other duties as provided by the law and assure that NMSL meets all statutory requirements of the State of New Mexico. The demonstrated ability to communicate effectively to a wide variety of culturally diverse audiences will be essential to the candidate’s success as the State Librarian, as support of New Mexico public, rural, and Tribal libraries is central to the mission of the State Library; accordingly, some public or Tribal library experience will be preferred. A strong and positive record in policy administration, strategic planning, budget planning and execution, capacity building, and personnel management is sought. The candidate will also possess the desire and ability to construct effective coalitions and to work successfully with legislative, governmental and other policy-making bodies. Knowledge and understanding of current library technologies are valuable assets an ideal candidate will bring to the position. A demonstrated ability to communicate effectively to a wide variety of culturally diverse audiences will be essential. Minimum requirements include a Master’s Degree in Library or Information Science from an ALA-accredited library program, eight (8) years of progressively responsible experience in libraries that includes at least five (5) years of experience in library management and/or administration; a record of successful experience in policy administration, budgeting, and planning for a governmental entity; and demonstrated ability to direct an organization, evaluate program performance, and implement effective solutions to ensure ongoing program refinement and improvement. The position offers a hiring salary range of $80,000-$90,000 (dependent upon experience and qualifications) and an attractive benefits package. Apply via email with a meaningful cover letter and your resume as Word or pdf attachments to Michael Delello, Deputy Cabinet Secretary, New Mexico Department of Cultural Affairs.